California requires all license applicants to pass three (3) license courses. Executive Programs offers these (3) courses on an online basis. Unlimited Attendance up to 1 year! ATTEND A LIVE REVIEW OF all seven (7) DRE topics covered on the state examination. 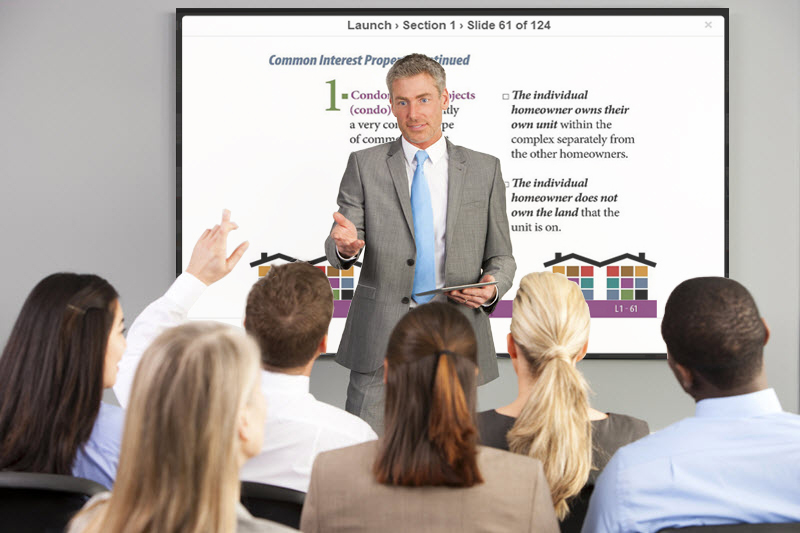 You will learn from a highly effective slide presentation program presented by knowledgeable and experienced facilitators. PASSMASTER - Unlimited Attendance up to 1 year! ATTEND A LIVE PRACTICE TEST REHEARSAL of simulated practice questions. You will review hundreds of practice questions answered and explained by an expert Test Prep Guide.